﻿ About Dr. Marek Walczyk, M.D. Dr. Walczyk completed his residency in Psychiatry at the University of Chicago Medical Center. He has been focused on the field of psychiatry since 1997. 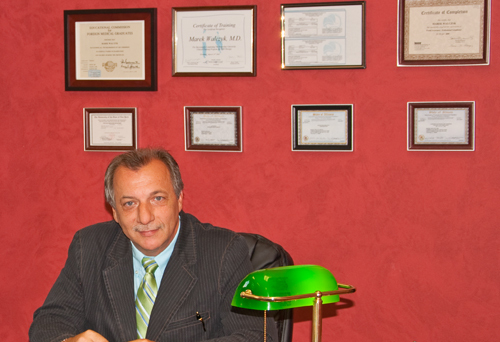 Dr. Walczyk specialized in Neurology in Poland. Currently Dr. Walczyk focuses on private practice, pharmacotherapy and psychotherapy, and working with experienced therapists. Dr. Walczyk treats all adult patients as well as children from 14 years of age. He accepts most of the Health Insurance Plans including Blue Cross and Blue Shield of Illinois, Medicare. Dr. Marek Walczyk is one of the pioneers in the United States using recently FDA approved TMS for treatment resistant depression with great success.